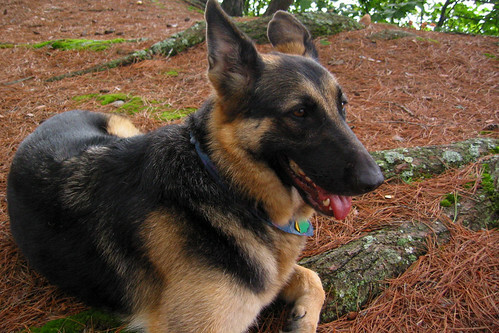 Oh boy, this is hard… we had to say goodbye to our sweet Bell today. 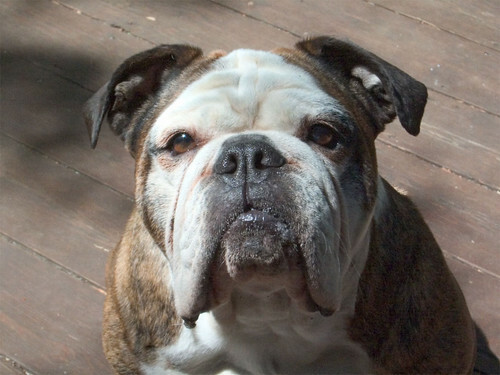 She was all out of life, but too much of a bulldog to admit it. We didn’t think she would make it to Christmas, back in 2014. She got TWO more Christmases under her belt, as it turned out. Bell was a very sweet puppy. 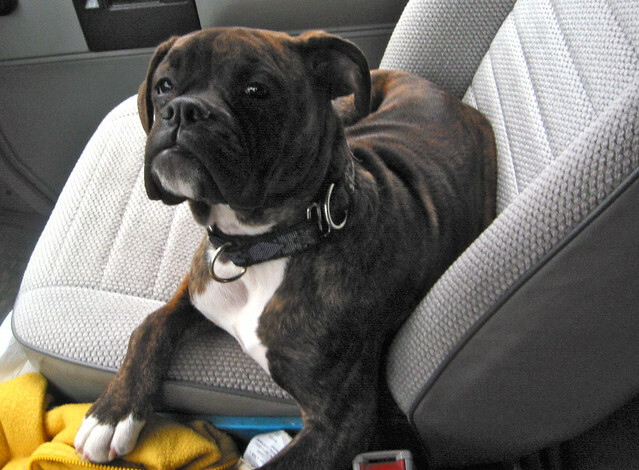 She was part of a litter of Valley Bulldogs that were so similar in appearance, that one time we brought home the wrong puppy from doggy daycare at the breeder’s. But we got that straightened out. Pretty sure. Bell was the last of the fabulous furry foursome, Silver, Tiger, Bell, and Lucy. It’s going to be so strange to not use the plural: time to feed the dogs, shall we take the dogs for a walk, etc. I used to walk them in shifts: big-big, then little-little, or sometimes big-little, then the other big-little. I think matched-size pairs worked best. Bell was happy to hang out with me, especially around meal times, but if we’re being honest she was Lynda’s dog. Bell became especially important to Lynda during the time her daughter was away at school, and Lucy and I were still at the condo during the week. They had a very strong, almost mother-daughter bond. It was devastating to have to say goodbye. I’m so glad we all had some quality time near the end, even as she was starting to struggle, walking, breathing, in a way we knew we couldn’t allow to go on much longer. This entry was posted in RIP on June 16, 2016 by admin. 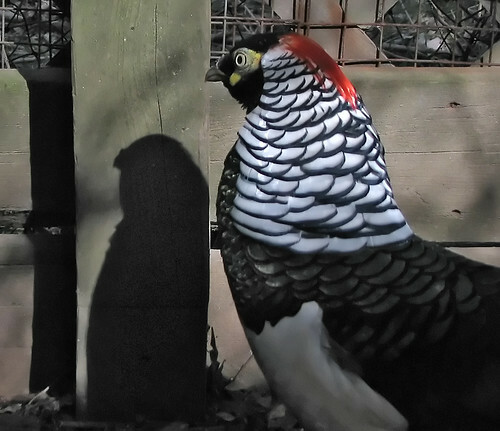 Lynda reports this morning that our Reeves pheasants, George and Martha, were found dead in their cage. I haven’t been down to see them yet, but it sounds like they met the same fate as befell Corny and Cornelia, the Lady Amherst pheasants who were killed last August. We figured it was a weasel at that time, but we’re not really sure. 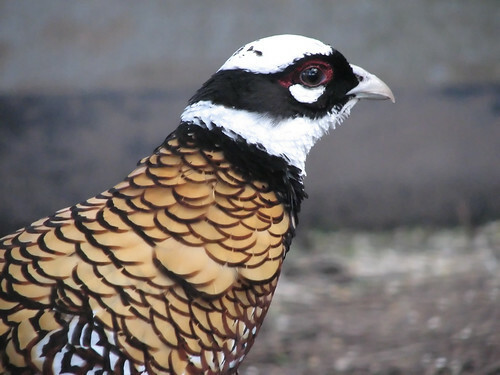 Reeves pheasants have been described as “pugnacious”, and George was no exception. He was always pacing back and forth at the perimeter of his cage, ready to offer a sharp peck to the nose of any canine who got too sniffy. Which they did on an almost daily basis. This entry was posted in RIP on February 24, 2013 by admin. Our two Lady Amherst Pheasants, Corny (Cornelius) and Cornelia, were found dead this morning in their cages, victims of some kind of predator. Judging by the size and position of the entry hole, and the condition of the birds (I won’t go into details) we’re thinking weasel. Corny and Cornelia are survived by George and Martha, our Reeves pheasants and now the last two of the seven pheasants that came with the house in 2006. This entry was posted in RIP on August 27, 2012 by admin. 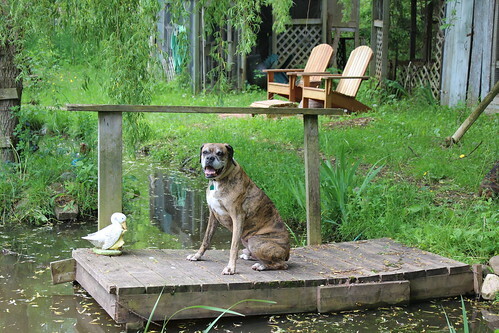 A few weeks ago, our boxer, Silver, suffered a cardiac incident. After a couple of days of moving kind of slow, he seemed almost fully recovered. We tried to minimize the full-throttle sprinting from the back 40, something that he loved to do, but otherwise it was business as usual. Today I took Silver and Bell out back for the noon feeding of the pheasants, where Silver barked at George through the cage one last time, had one last poop way at the back where nobody will see it before spring, and then on the way back, he sort of leaned into me and slid down my leg, never to stand up again. A half hour later, he died in Lynda’s arms. Silver was just coming up on his 10th birthday. He came to us as a puppy, but soon went away with Claire to California. He came back as a full grown doggy a year or two later. And I have to say, I did not care for him at first. Of course that soon changed. 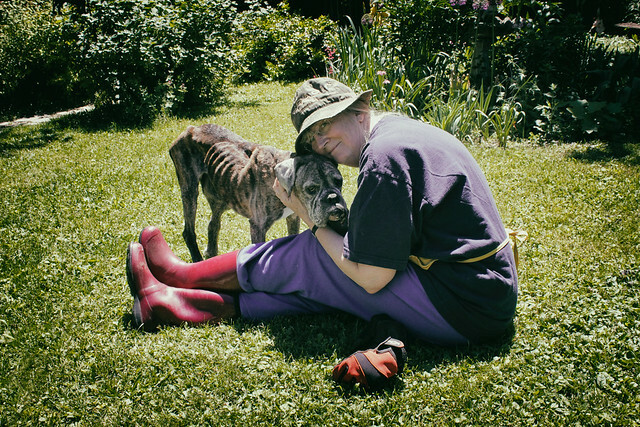 He had been through a lot of change early in life, but he soon settled into our more routine lifestyle in Mississauga and later here in Owen Sound, where he had an even bigger yard to run around. We grew to love him exuberantly, as he deserved and as he loved us. His only flaw was an excess of personality. 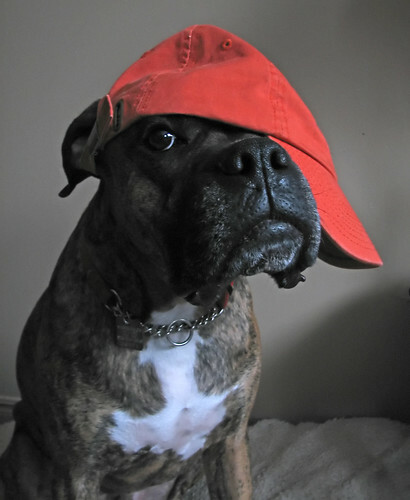 He had so much personality that he became the subject of his own meme: “Signed the Dog” status updates eventually became his own Twitter account. 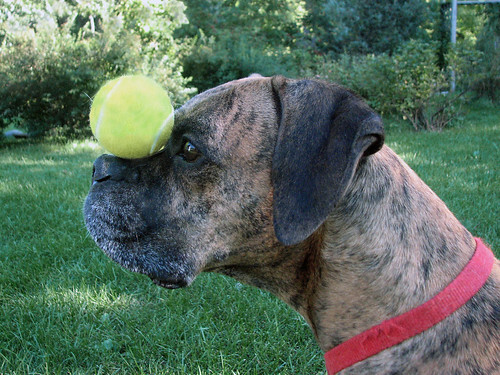 While drawing from our interactions with all four of our doggies, it was his memorable mug that was the visible face of “Signed The Dog” and his boyish charm and uncorkable personality that inspired the lion’s share of those posts. To say we will miss him is laughably inadequate. There’s a giant Silver-sized hole in the world now. We’re both gutted. This entry was posted in RIP and tagged dogs, Silver on January 9, 2012 by admin.